Specialty coffee is not a variety.Nor a trademark or brand.It’s a rigorous process method of coffee.A representation of great quality and flavor. Black Gold import excellent coffee beans directly from origins: Central America, South America, Africa, Asia and other islands. We firmly believe in Black Gold’s coffee quality and services will aid our distributors in business growth. Start from searching for coffee estates, we dedicate to the process of each steps, make sure that the quality of coffee is strictly selected. For anyone who wants to find great coffee, we are your best choice! The passion for the pursuit of quality.We go to the place of origin.Aside from the selections of excellent quality beans.We also check on farming condition.Understand the operation of local process plants and the operation of the local exporters.Have our “Boutique coffee hunters” station in various producing areas.Select only high quality and well planted coffee beans. Black Gold has its own micro mill.Depends on different regional characteristics of coffee beans.Process each micro batch with different process method.Natural Process、Washed Process、Honey Process etc.Provide best quality and flavorful coffee bean through most suitable process.There are many setting details (temperature, time etc.) are our exclusive processing techniques.We built our own special bean process method. Coffee is an agricultural product like red wine.The flavors are different due: variety, origins, climate, soil, planting style, process method, and grades.That’s why we have to have all the detail information on green beans.To get the best quality beans.Through year-produced, variety, origins, process method, grades, certification and other CQI requirements,We only import qualified specialty coffee.Other than CQI requirements, we also care for certification such as bird protection, rain forest, fair-trade, organic etc.,Hoping to provide good quality and flavorful coffee beans with sustainable and environment-friendly farming method.We will provide detail information on every coffee beans we import: year produced, variety, origins, process method, grade, organic and other certification of applied. Because of the scarcity of specialty coffee, the rate of change of availability is fast.Is happens quite frequently, when you finally found a batch you liked.Its not available for another order.Another common issue with specialty coffee is the instability of quality .We can help you search for the coffee beans you want by origins, produced year, variety, specs or even flavors.So, you can focus on your roasting(business) with nothing else to worry. 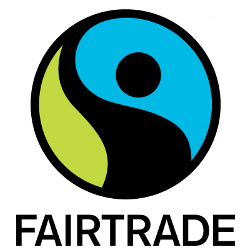 Fair-trade organization create trading partnerships that are based on dialogue, transparency and respect, that seeks greater equity in international trade. These partnerships contribute to sustainable development by offering better trading conditions to coffee bean farmers. Organization actively engage in supporting producers and sustainable environmental farming practices. Coffee farmers value the importance to the reuse of resources, conservation of soil, water, and environmental quality. They do not use synthetic fertilizers and persistent pesticides, and do not use nongenetic engineering or ionizing radiation in production. During the production, non-organic coffees are isolated. 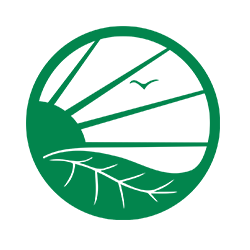 The Rainforest Alliance is a non-profit organization based in New York. Its mission is to conserve biodiversity by promoting sustainability in agriculture, forest, tourism and other businesses. 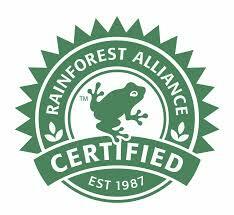 Rainforest Alliance standards are intended to protect the environment and rights if workers. 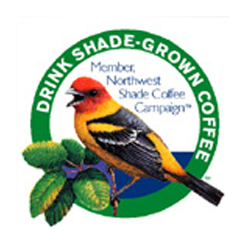 In addition to being a healthy choice, organic coffee beans also provide a balance between protecting the environment and stabilizing the natural environment. The soil, coffee tree, roasting, delivery and environment are examined every year by a professional institution. All the conditions have to be in line with all standards to obtain the organic certification. To increase the volume of coffee produced and with the added value of wood fuel, farmers usually cut down the trees in the coffee farm. Coffee trees exposed to sunlight are more vulnerable to pests and diseases, and therefore require the use of large amounts of pesticides. Sade Grown certified coffee bean, a natural tree pod rooftop in its planting environment, protects the soil from rain erosion (causing nutrient and soil loss). At the same time provide the natural balance of coffee trees. As result, the use of chemical fertilizers can be reduced, which protects the growth of natural ecology and coffee beans. 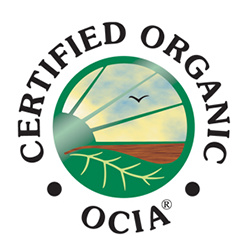 OCIA (Non-profit) is one of the leading organic certification organizations in the world, provides organic researches, education and authentication. The Scope of the certification covers the cultivators, processed food factories and sales of organic agriculture in countries around the United States, Africa, Europe and the Pacific.